This annoyed me. It's an article by Rip Esselstyn on the Huffington Post with the obnoxious link headline: Natural Steroids For Athletes: Eat Your Vegetables. I agree that an athlete's best friend is a healthy diet rich in nutrients. And even better is a plant-based diet, as 'Rip' suggests. But to compare vegetables and healthy foods to steroids seems a bit far reaching to me. Spinning the Story on Veggies. Do you really need to spin the idea of a plant-based diet so much by pulling in the biggest sports news story-steroids? Come on. Stick to the straight news. 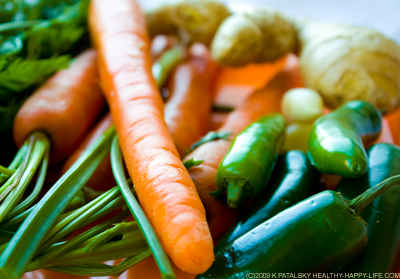 You don't need to SPIN the facts about the positive benefits of eating your vegetables.